Serena Williams is the GOAT when it comes to tennis, so this gifting was very appropriate. 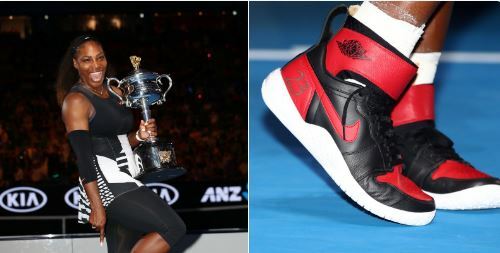 After capturing her record 23rd Grand Slam singles title at the Australian Open, Williams had a special gift waiting for her while on set with ESPN. A surprised Williams was presented with two pairs of custom Air Jordan sneakers, along with a note from Michael Jordan himself. Winning is hard. It takes years of hard work, mental toughness, and a willingness to accept the fact that you hate to lose. Congratulations with much respect on winning number 23. It would be a privilege to keep watching your determination on the court. 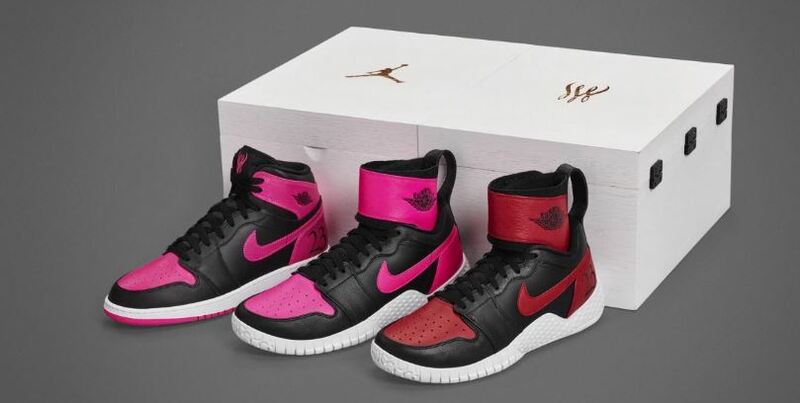 Look for the Air Jordan 1 GS “Serena Williams” to be available for release on February 11th, 2017 at select Jordan Brand retail stores. The retail price tag is set at $120 USD.